•U.S. cities and states have risen up against the spread of solar panels and wind turbines. 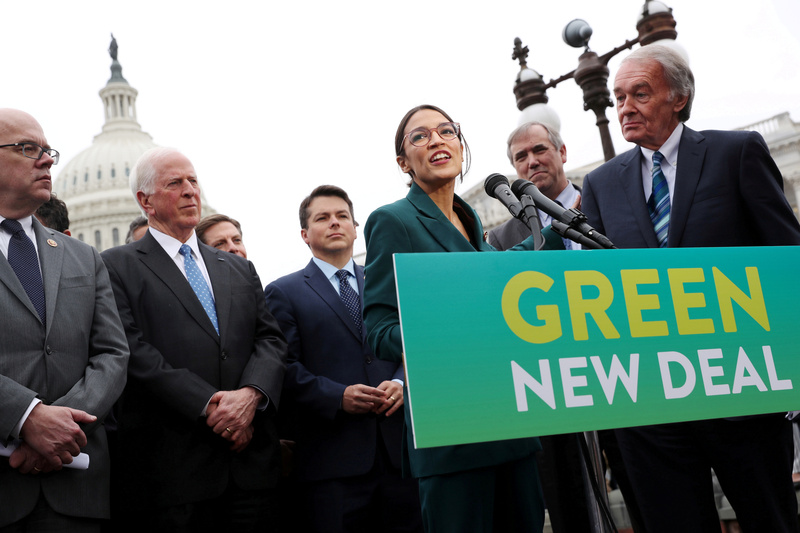 •One expert says at least 225 government entities across the U.S. have put up barriers to renewable energy development. •Those supporting renewables rely on the “vacant-land myth” to push their green agenda, the expert said. “You won’t read about it in the New York Times, but the towns of Yates and Somerset as well as three upstate New York counties – Erie, Orleans, and Niagara – have spent the past three years fighting the proposed 200-megawatt Lighthouse Wind project, which aims to put dozens of wind turbines near the shores of Lake Ontario,” Bryce added. Across the country, Los Angeles County banned large wind turbines in unincorporated areas in 2015, and one county supervisor called wind farms a “visual blight.” San Bernardino slapped strict limits on large wind turbine developments early this year. The Oklahoma town of Hinton banned wind turbines to avoid becoming an “industrial wind complex,” the town’s mayor told Bryce. A GE 1.6-100 wind turbine (front C) is pictured at a wind farm in Tehachapi, California June 19, 2013. REUTERS/Mario Anzuoni. President Donald Trump recently added to the anti-wind fervor sweeping across some of the country, claiming in a recent speech that wind turbines ruined views, depressed property values and even caused cancer. “If you have a windmill anywhere near your house, congratulations, your house just went down 75 percent in value. And they say the noise causes cancer. You tell me that one, okay?” Trump said at the National Republican Congressional Committee’s annual dinner in early April. Wind turbines average 466 feet in height and are getting bigger all the time, which means they’re visible for miles. There are also environmental consequences in terms of land use and turbines killing of millions of birds and bats. A 2017 study, for example, found the amount of wind turbines needed for the U.S. to get all its electricity from renewables would cover roughly 193,000 square miles, or six percent of the land area of the lower-48 states. Solar farms also take up large allotments of land, and like any other development, displace animals and plants. 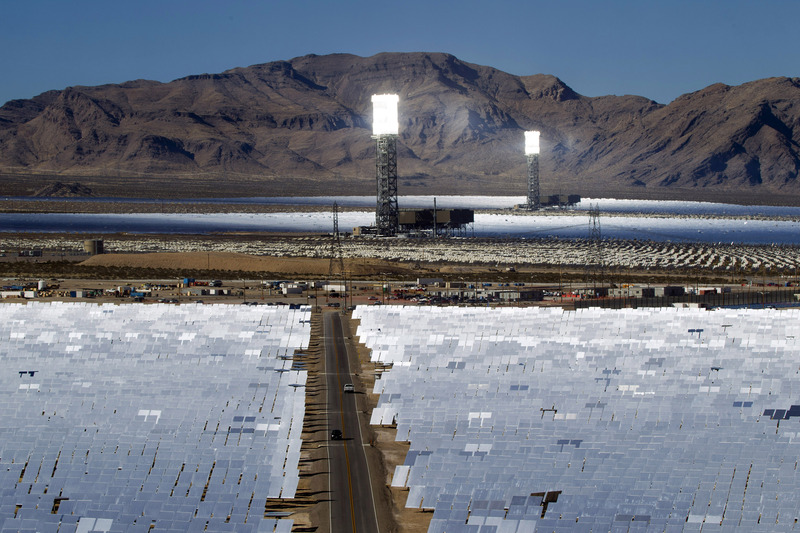 Solar thermal plants in the California desert incinerate birds that fly over its vast array of heliostat panels. With these concerns in mind, Spotsylvania County, VA, residents are worried a massive 3,500-acre solar project could damage the environment. Roughly 60 miles north in Washington, D.C., environmentalists are skeptical of Georgetown University’s plan to cut down 210 acres of forest to build a solar farm. What about the transmission lines needed to get wind power from the windswept Midwest to population centers? Some state and local governments have opposed those as well. Heliostats reflect sunlight onto boilers in towers during the grand opening of the Ivanpah Solar Electric Generating System in the Mojave Desert near the California-Nevada border February 13, 2014. REUTERS/Steve Marcus. “The move doomed the Rock Island Clean Line, a 500- mile, $2 billion, high-voltage direct-current transmission line that was going to carry electricity from Iowa to Illinois,” Bryce said.